How serious is a lack of patience? We generally write it off as inconsequential. It’s often seen as a weakness rather than a sin—after all, it’s not as bad as adultery, theft, or murder. But have you ever considered what your impatience reveals about your attitude toward God? When we demonstrate an inability to tolerate delay, we are telling the Lord, “I don’t trust Your timing; mine is better.” Can you see the seriousness of this attitude? Impatience is a display of pride because we are elevating our understanding above that of our all-knowing God. He brought sorrow on his family. Likewise, our impatience hurts those we love. He left the security of home. When we run ahead of God, we often leave behind the voices of reason and wisdom in our life. He found himself in ruin. God’s blessing accompanies our obedience, so we stand to lose a great deal when we ignore His timing. He felt unworthy. We don’t experience fellowship with the Lord when impatience keeps us outside of His will. Although the prodigal son was welcomed home, he could never regain the inheritance he’d lost. We, too, must often live with painful consequences as a result of jumping ahead of God. Let’s remember it’s better to wait patiently until the Lord moves us forward. Worry will kill your joy and cause you stress. We tend to expect the worst in life. Anxiety disorders are the most common mental illness in the United States. According to the Anxiety and Depression Association of America, they affect 18.1 percent of the U.S. population. 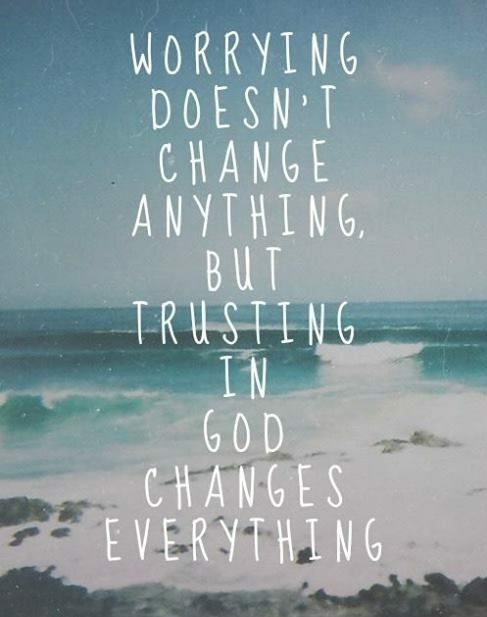 But worry isn’t just a mental issue. It’s a spiritual one. It’s assuming a responsibility that God never intended for us to have. It’s playing God and trying to control the uncontrollable. Jesus gives us the ultimate antidote to worry. Live one day at a time. God will take care of tomorrow. GOD REALLY LIKES YOU. NO, REALLY! This is what I’m confident of at age 62: I know God loves me. There! That’s it. That’s about all I really know for sure. But, oh my goodness, that knowing changes the lens I use to view every situation, problem, blessing and even the unexpected. It changes the trajectory of my days. I mean, think about it — if we wake up every morning and truly, deeply believe and trust that God simply loves us, how does that change how we feel about who we are? Would we go through our ordinary days with a few less self-imposed “should-haves”? Would that critical voice in our head saying, “You aren’t enough” be just a little quieter? I think it would. I think I might be more patient in traffic too — just bein’ real! For instance, I’ll be honest and tell you I might not worry as much if I got my swim workout done or not. I might be less judgmental of myself over some misspoken words I said to my husband or one of my kids. I might be less frantic that I didn’t get all my errands done or phone calls made. I might be a kinder, gentler person if I just sit in the knowing. God loves me. God is for me. 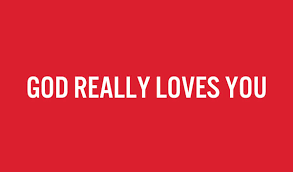 Brennan Manning once said that God doesn’t just love you — He likes you. Whoa! That really got my attention. There are people I love, but fewer people I like. So, it makes my heart happy to think God likes me. I can’t stop thinking about it! Today’s key verse is one of my very favorites. The word NOTHING is a big word! “For I have every confidence that nothing — not death, life, heavenly messengers, dark spirits, the present, the future, spiritual powers, height, depth, nor any created thing — can come between us and the love of God revealed in the Anointed, Jesus our Lord” (Romans 8:38-39). And now, at 62, I think I finally believe Him. And it’s changing me. It’s changing how I move through my days. There is eternity in every single moment because God is in every single moment. As I return to Romans 8:38-39, I’m learning to say, “I have every confidence that NOTHING … can come between us and the love of God …” That is the first and most important building block of my faith in Christ. Friend — I want you to know today how much you are loved by the God of the universe. Right now, in this very moment. Right where you sit or stand. With or without your makeup on. You are so deeply and passionately loved. Nowhere in the Bible does God say He’s going to send us to safe places to do easy things. But He never leaves us to do challenging things on our own. He says He’ll always be with us (have a read of Hebrews 13:5). But in order to do life with God, and to walk in His ways, we need to be fully committed. Faced with the cross, Jesus prayed the ultimate prayer of commitment: ‘Yet not my will, but yours be done’ (Luke 22:42 NIV). 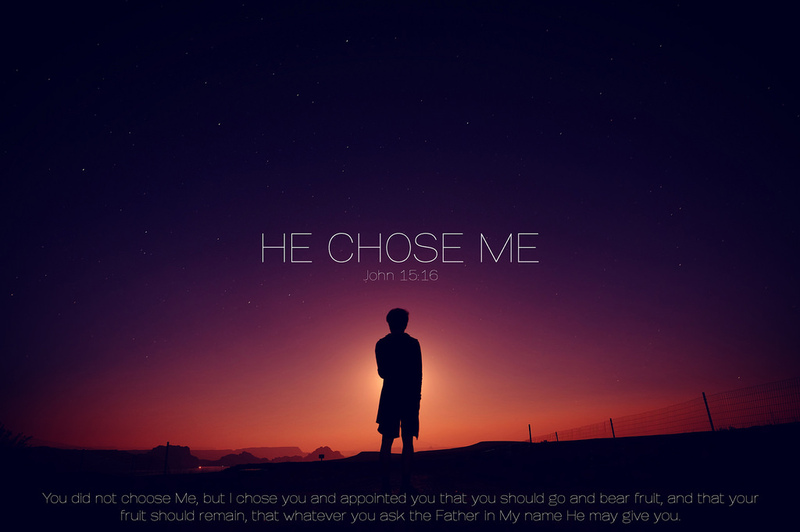 God’s wanting us to be totally committed to Him. 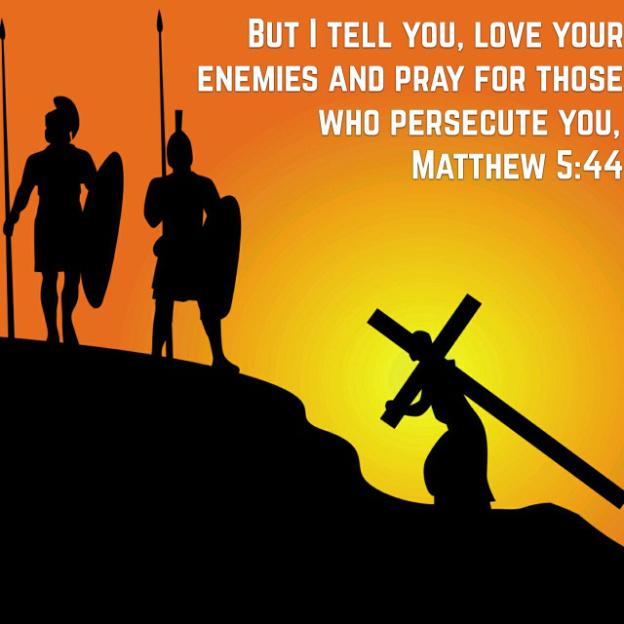 Jesus said: ‘Whoever wants to be my disciple must deny themselves and take up their cross and follow me. For whoever wants to save their life will lose it, but whoever loses their life for me will find it’ (Matthew 16:24-25 NIV). This may seem pretty extreme, but God’s looking for ‘all-in’ faith. He’s looking for followers who are willing to stick with Him, no matter what it costs. He’s looking for people who’ll put Him above everything else in their lives. 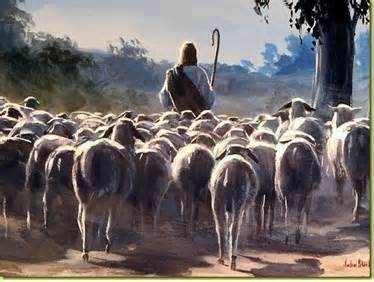 Paul was one of those kind of followers. In his letter to the Philippians, he wrote: ‘Those things were important to me, but now I think they are worth nothing because of Christ. 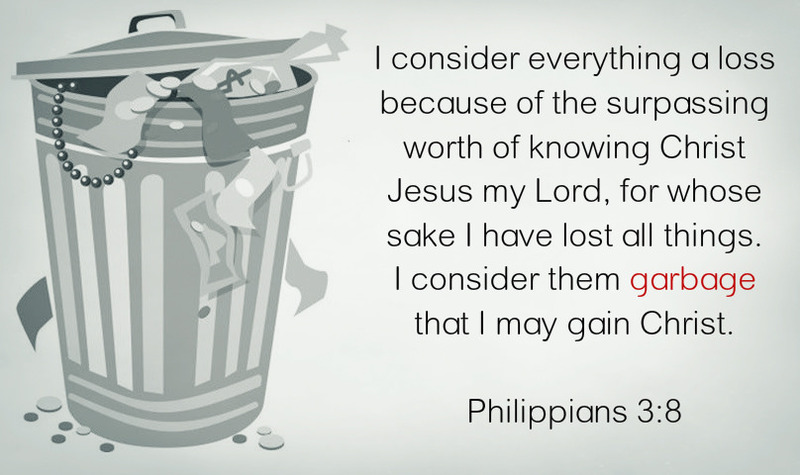 Not only those things, but I think that all things are worth nothing compared with the greatness of knowing Christ Jesus my Lord…I want to know Christ and the power that raised him from the dead. I want to share in his sufferings and become like him in his death’ (3:7-10 NCV). He even went as far as to say ‘to live is Christ and to die is gain’ (1:21 NIV). Are you prepared to say the same? Let’s be honest. Sometimes we just don’t see eye to eye with some people in our lives. Showing them love can be quite a challenge, especially when these people are difficult, different, or don’t always show appreciation. But learning to love them anyway is a step closer to understanding the kind of love God has for us. Have you ever thought about how out of balance our love relationship with God is? He first loved us, the Bible says (1 John 4:19). He made the first move and took the first step. By His grace, He sent Jesus for us to receive by faith. Our love in return, even on our best days, pales in comparison to that kind of love. Yet He loves us anyway. He doesn’t give up on us when we don’t give it back or show appreciation. In Christ, God loves us anyway. As we begin to grasp just how wide and long and high and deep the love of Christ really is (Ephesians 3:18), we move closer to being able to love others in the same way God loves us. As we receive God’s love and grow in His truth, God is producing in us a love that has the power to love anyway. And that kind of love is the greatest mark we can leave on the world! So who is God calling you to love anyway? A friend who is difficult or different? A grumpy family member? A coworker who never seems to appreciate your efforts? Maybe it’s your kids. As moms, we seem to always be giving and not necessarily getting much back in return. Wherever we find hard-to-love people, may we open our hearts wide to receive God’s love, and then may we be quick to share His love. May He empower us to love anyway! Lord, I praise You for loving me first. Thank You for not giving up on me, even when I didn’t love You back. Thank You for being patient, kind, and gentle. Pour Your love into my heart through Your Holy Spirit. Change me, and give me the power to love anyway. In Jesus’ name, amen. Are there people around you right now whom you need to learn to love? What is one way you can love anyway right now? 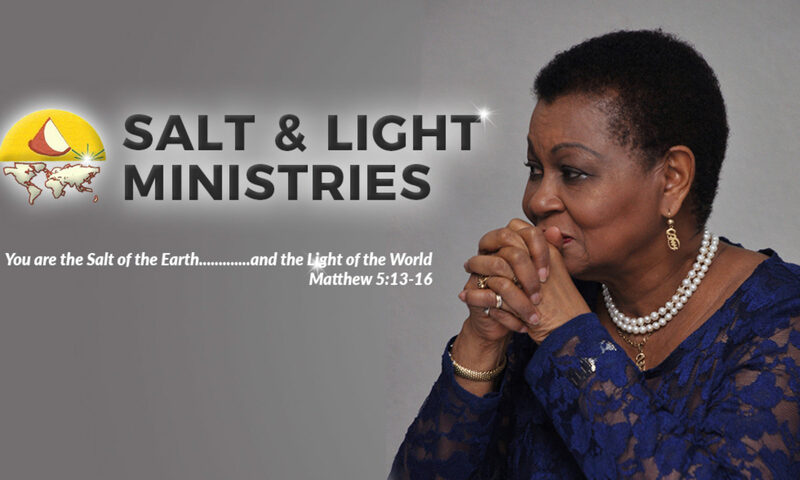 “God has given each of you a gift from his great variety of spiritual gifts. Use them well to serve one another” (1 Peter 4:10 NLT). 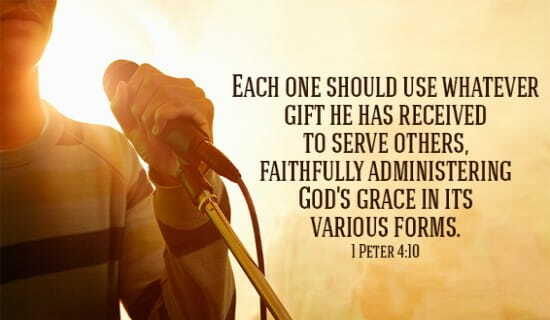 The Bible says in 1 Peter 4:10, “God has given each of you a gift from his great variety of spiritual gifts. Use them well to serve one another” (NLT). When you use your abilities to help each other, God is glorified. God wired you to make a contribution. God did not give you talents and abilities for your benefit. They are for the benefit of other people, and their talents are for the benefit of you. I am so grateful for people who are talented in areas that I’m not good at. For instance, I’m grateful for accountants. Because I stink at accounting! I’m grateful for people who know how to do taxes. I’m grateful for people who have mechanical ability. I couldn’t fix a carburetor if I had to. I wouldn’t even know where to find it! God has given me some talents. One of my talents is taking the Word of God and making it clear for other people to understand. When I use that ability, you get blessed. My talent is for you. It’s to help you. But here’s the point: You’ve got talents, too. Are you using them to bless others? Are you using them to help others? If you don’t use the talents God gave you, other people get cheated. The way you bring glory to God is by using your talents. “Use your gifts well to serve one another.” God is glorified when you use your abilities to serve others.